We provide the assistance and support to help your child perform at their best for 11 plus exams and admissions. JK’s comprehensive online and home tutoring programmes teach the specific academic skills your child will need to succeed at 11+. Each 11+ student is carefully matched to an ideal individual tutor based on learning style and personality, making the eleven plus tutoring experience completely unique to every child. Tutors are trained in specific 11+ tutoring techniques and curriculum content and are monitored by JK’s senior team throughout the entire 11+ tutoring journey. With the help of our expert tutors and supporting team, your child will boost their skills, confidence and take on the 11+ process and further learning from a positive perspective. JK’s 11+ tutoring takes place one-to-one, in person in students’ homes in and around London, or across the UK and internationally using our interactive online tutoring programme with its shared screen facility. Our 11+ department supports families throughout the process of school admissions at 11+, offering a full package of tailored services to boost 11+ success. 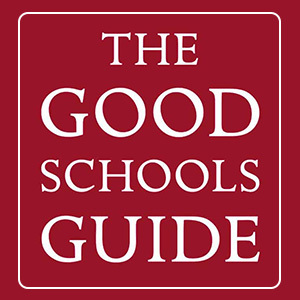 The competition for senior school places continues to intensify, both for academic independent schools and state selective schools. The discussions about expanding grammar school provision can only increase this pressure, so we are constantly vigilant about the changing requirements for success. 11+ teaching resources are regularly updated, with our expert focus on the ever-changing requirements of schools’ entrance exam procedures. The JK 11+ monitoring team ensures that all 11+ students and tutors are always doing their best as they prepare for these challenging exams. Students’ progress is tracked throughout their journey with JK and our results are exceptional. 94% of our 11+ students achieved a place at their chosen selective senior school in 2018. We run a series of 11+ workshops in maths and English throughout the year, to complement 11+ tutoring and offer very focused but fun group learning. Interview preparation is also key. 11+ tutors can help with this of course, but we also run specialist 11+ interview preparation sessions to focus in real detail on what schools will be looking for. Mock exams form a final and vital stage in the 11+ preparations. JK Educate 11+ mock exams provide a taste of the real experience, including the need for a candidate number and taking the exam under strict timed conditions with many other children in a large hall. We also offer small extra practice mock exams for more chances to work under exam conditions but generally in smaller groups. Is the 11+ right for your child? You should have your child academically assessed before they embark on the 11+ journey. This will allow you to find out if they have the potential to pass these challenging exams, against the fierce and constantly increasing competition for places, and indeed whether they are likely to manage in a highly academic selective senior school. If their academic potential doesn’t match up to the school’s future expectations, then you might be setting them up to fail, even if they can be prepared well enough to secure a place there. Children should not be intensively tutored to get into a school for which they lack the innate aptitude to succeed. Therefore, we always recommend assessing children before discussing possible school choices with you. Once we have agreed on target schools that would best suit your child, we can look at routes forward –their academic assessment results will determine whether they will need tutoring and if so, the type and length of tutoring that they require. Any entrance assessments require preparation so that the child understands what they will face and how to do their best. It’s unfair to send a child into this completely unprepared, as they will be at a real disadvantage and might find it a traumatic and demoralising experience. To succeed, your child needs to be taught both the 11+ curriculum and the exam techniques and strategies needed to optimise results. Standard primary school lessons will not provide adequate preparation, so that’s where specialist 11+ tutoring comes in. This tutoring and our other services can dramatically boost a child’s knowledge and their confidence to face the exams. Sitting an exam under timed conditions may still be relatively new and alarming to this age group, so it’s a good idea for them to write practice papers this way, to get used to the added pressure and the need to plan out their allocated time. Our tutors always provide this practice, but we also provide an authentic examination experience with our JK 11+ Mock Exams, to take away some of the fear before the real exams. Most schools will conduct interviews: they will either call back those children who have done well in the exams or interview every candidate on exam day. The interview process often includes a one-to-one conversation with the head teacher to reveal the child’s social skills, confidence and focus, by chatting about their hobbies, homes, philosophy and reasoning. We advocate giving children focused 11+ interview preparation, to reduce nerves and help children present themselves at their best; it is definitely an advantage to be prepared by knowing the type of questions they may be asked and the activities they may be asked to perform. Interview preparation provides the space to think and consider the answers to some basic questions about themselves, their likes, dislikes, strengths and weaknesses. It also allows an opportunity to practise eye contact and positive body language, which can be difficult for some children. Get in touch today to see how we can support your child through the challenges and rewards of the 11+.